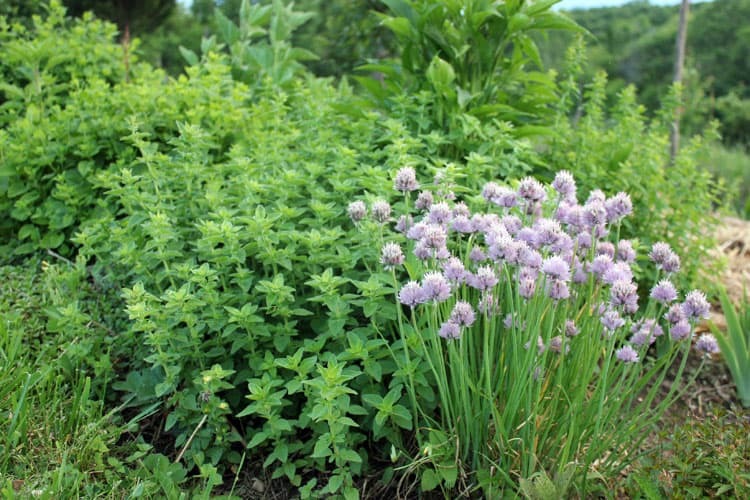 Growing herbs in a homestead medicinal herb garden is an efficient and enjoyable way to generate the raw materials you need to craft herbal remedies. Instead of sourcing dried herbs online or purchasing fresh herbs from the grocery store or farmer’s market, you can grow abundant, inexpensive, and organic herbs in your own backyard. Best of all, many medicinal herbs are also beautiful, pollinator-attracting plants with blooms that will accent your flower and vegetable garden. 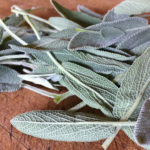 In this post, I’m going to share some tips on how to select the right herbs for your medicinal herb garden. I’ll also offer my favorite, easy to grow herbs that will get you on your way to creating your own herbal remedies from garden to medicine cabinet! Similar to vegetable and flower gardening, there are hundreds of herb varieties from which to choose, each of which may have its own unique flavor, growing habit, color bloom, etc. How do you even begin to decide what to plant in your medicinal herb garden? Start small. 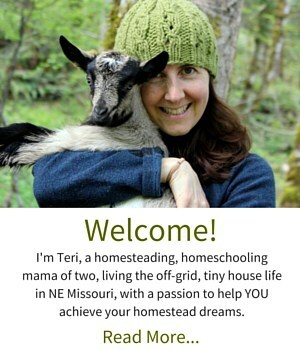 In The Homesteader’s Herbal Companion, author Amy Fewell recommends starting with the top five herbs you want to grow or forage in three categories: Culinary Herbs, Medicinal Herbs, and Wild Herbs. For example, you might grow thyme and garlic as culinary herbs and peppermint and chamomile as medicinal herbs, and forage for plantain. In subsequent years, you can always add more! Identify which concerns or ailments you’d like to address with herbs, and select appropriately. For instance, you may want to boost your family’s immune system, promote digestive ease, and care for skin and wounds. A few appropriate herbs might be elderberry and echinacea, chamomile and peppermint, and calendula and plantain. Be honest about your gardening know-how and space. If you’re adept at starting plants from seed and have the gardening infrastructure and space for a bountiful herb garden, then grow on! If you’re new to growing, select a few transplants from a reputable nursery and take the time to learn from your plants. Below you’ll find my top picks for easy to grow herbs for a homestead medicinal herb garden, in no particular order. Because I have limited space in my garden, each of the herbs I selected serves multiple functions. For instance, in addition to their medicinal qualities, they may attract pollinators, have culinary uses, or have gorgeous flowers. 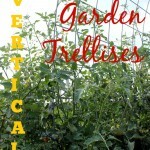 They are commonly available, either by seed or in your local plant nursery. When we moved to Missouri, we lived in friends’ house into the early spring. Her garden was edged with beautiful Anise Hyssop. 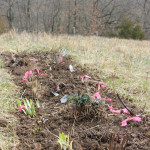 I loved the sweet-smelling plant in tea and in herbal soda and dug up a cluster to bring to my homestead. 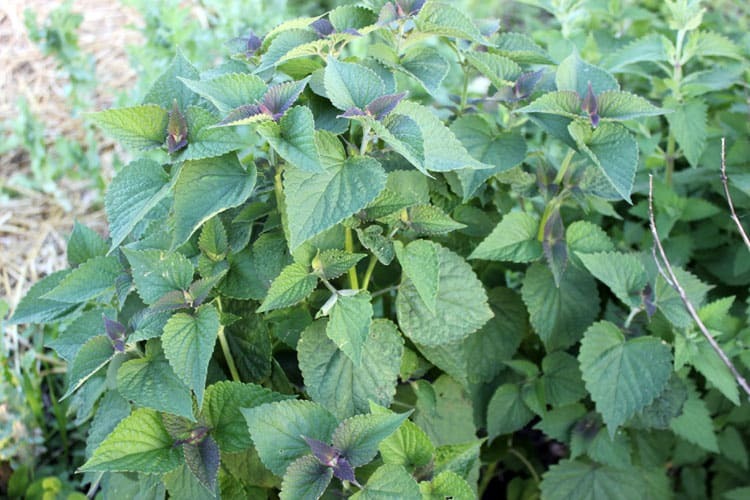 Anise hyssop, once established, has the tendency to propagate by seed quite abundantly. If you do not want patches of anise hyssop taking over your garden, deadhead the plants after bloom. Anise hyssop is said to have anti-bacterial and anti-viral properties, and can be taken to relieve congestion and coughs. Here are 5 Uses for Anise Hyssop. True story: When we moved onto our Missouri land, there was not a single dandelion in sight. So, I did what any sane homesteader would do and started dandelion from seed. Years later, the garden paths are lined with dandelion and the gardener within me questioned my sanity. However, the herbalist and kitchen witch within me delights in the many joys of dandelion. My daughter Ella and I make a dandelion salve for sore aching muscles and chapped skin. One of my favorite springtime treats is a naturally fermented dandelion soda. You can also harvest the greens for fresh eating or stir them up in a sauté. 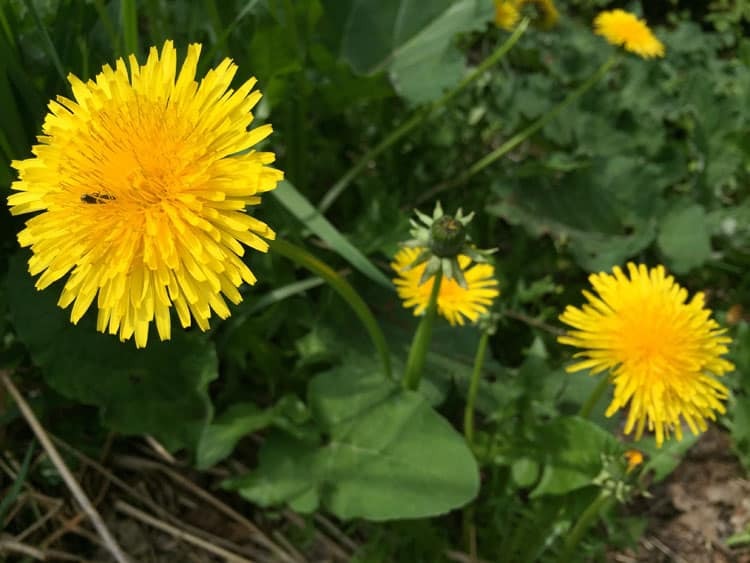 Be sure to harvest dandelion from an herbicide-free zone, and enjoy this vitamin-rich treasure. Echinacea has become a mainstream word in recent years, and often the first remedy that people reach for when experiencing cold or flu symptoms. And rightfully so! Echinacea has antibiotic, antibacterial qualities which help support the immune system. Echinacea is also a beautiful perennial with stunning purple-pink flowers, so it’s the perfect addition to your flower bed. In Missouri, I found Echinacea to be self-sowing, but I’ve heard from others that they had a hard time establishing this plant. If you are growing from seed, it is recommended that the seeds be cold stratified, so you can either sow in the fall, or put the seeds in the fridge. Alternatively, take a division from a friend, or purchase a start at a local nursery. I’ve always loved the look of the elderberry bush – the beautiful white umbel-shaped flowers so distinctive in spring, and the deep wine colored berries in late summer atop vigorous bushes. Plus, I’ve found elder to be very easy to grow when you start with bare root plants. We sourced native elder (S. nigra) from a state nursery, but you can also seek out cultivars that have been bred for flower color, decorative foliage, or more compact growing habit. 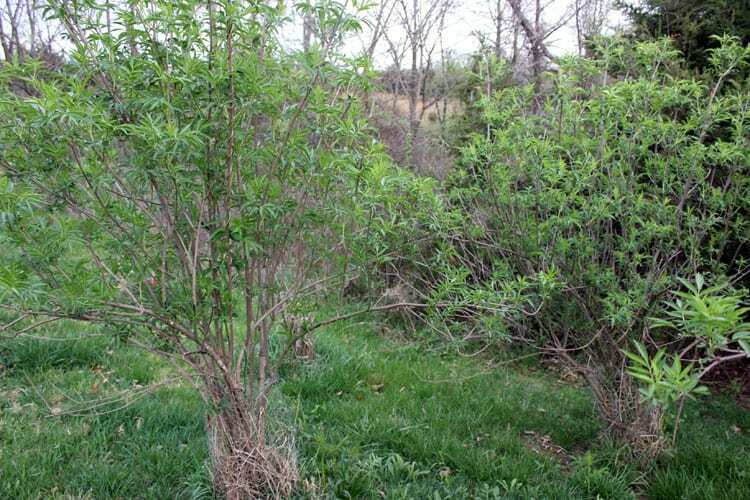 Elder can also be ethically wild-harvested in areas that you know are free of harmful sprays. I enjoy using making Elderflower Kombucha with the beautiful flowers, and harvest the ripe berries for Elderberry Syrup, which we take by the spoonful to support immune health. Here are 20+ more Elderflower recipes to enjoy! Oregano is a great example of a culinary herb that also has medicinal qualities and is both pleasant to look at and a fabulous pollinator attractor. Like many people, I grow oregano for my kitchen needs. Oregano’s antibacterial qualities make it perfect for use as a tonic herb, meaning that it is appropriate to eat fresh oregano on longer-term basis to support a foundation of good health. For me, that looks like garden-fresh tomatoes and mozzarella sprinkled with fresh oregano and basil. Yum! I find thyme to be such a cheerful, yet unassuming herb. It is happy to act as a trod-upon ground cover and produces a mass of simple, but lovely flowers. 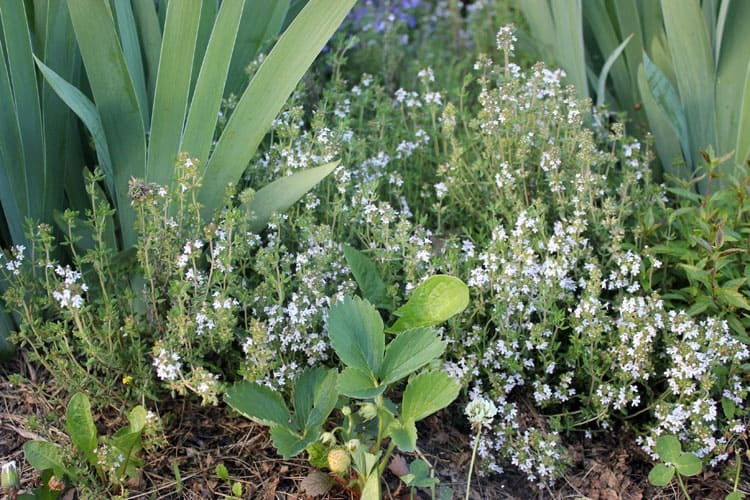 Thyme is trickier to grow from seed, but easy to find in plant nurseries. Tuck some thyme on the edge of your flower garden for a beautiful border, or in between stepping stones. Thyme has been found to help with respiratory infections, so it’s one herb I reach for when I have a cough or cold. My favorite way to use thyme is in this Fermented Honey with Red Onion and Thyme recipe. Is there any flower so bright and uplifting as Calendula? I just adore her bright orange and yellow blooms and easy growing habit. 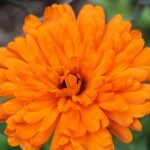 Calendula is easy to start by seed, either indoors, or directly into the garden, and will re-sow once established. To ensure Calendula’s continued blooming, be sure to deadhead, or pick off spent blooms. 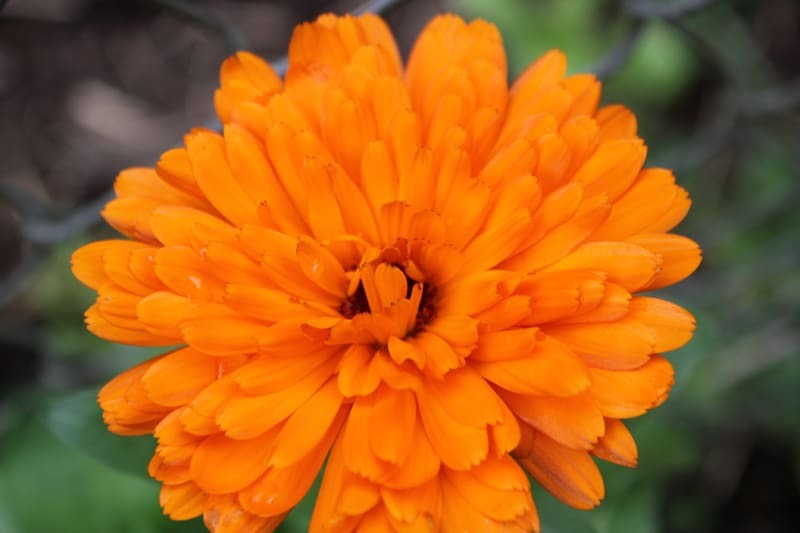 Calendula is a featured herb in many skin preparations such as soaps, salves, and lotions because of its wound-healing, anti-inflammatory, and soothing qualities. My Gardener’s Hand Salve features Calendula, as does this Calendula Tallow Soap Recipe. With its painful sting, the stinging nettle may not be your idea of a wonderful plant for the herb garden. But hear me out! 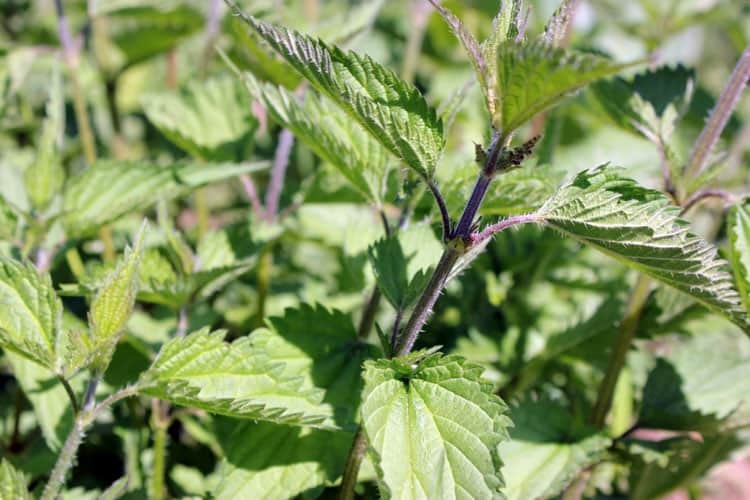 Stinging nettle is full of minerals that are nourishing to the body and organs, and helpful in easing seasonal allergies. Nettle is a tonic herb that can be taken long-term to help fortify the body and build health. I have a good friend that has had great success in combatting seasonal allergies by drinking an infusion of nettle leaves daily. Plus, stinging nettle tastes delicious! I like to sauté the fresh tender nettle leaves and make a simple Nettle Beer. Just be sure to wear gloves when harvesting to avoid nettle’s sting. Stinging nettle can be found in the wild, but I have had good success starting my own patches by seed. I recommend starting nettle indoors and carefully transplant to rich, moist soil. 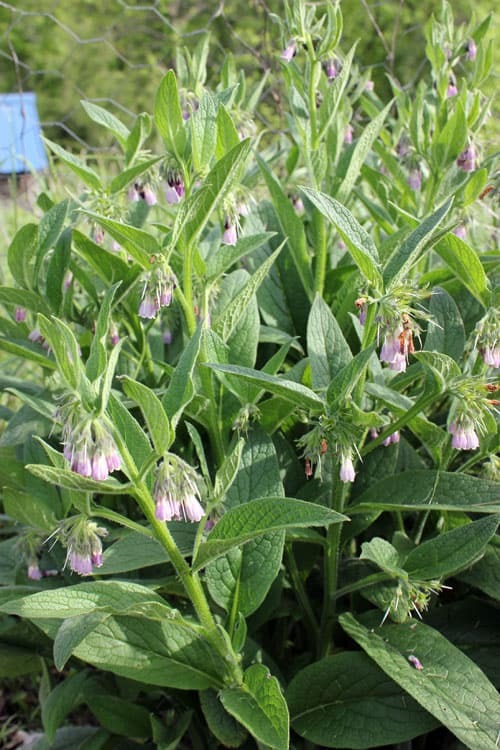 Comfrey is widely known for its external uses – most commonly anti-inflammatory and analgesic effects. It also stimulates tissue regeneration and aids in healing muscle injuries, sprains, and strains (Source). Comfrey is very easy to grow from a piece of root. In fact, it can be difficult to eradicate comfrey from a garden because if you leave a small piece of root behind, it may regrow! At this time, the widely held belief is that comfrey should not be taken internally. 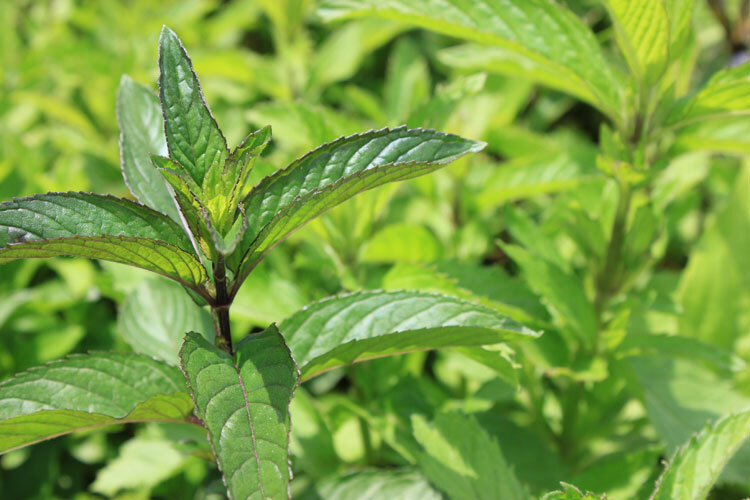 I could not close out my list of easy to grow herbs without including peppermint. 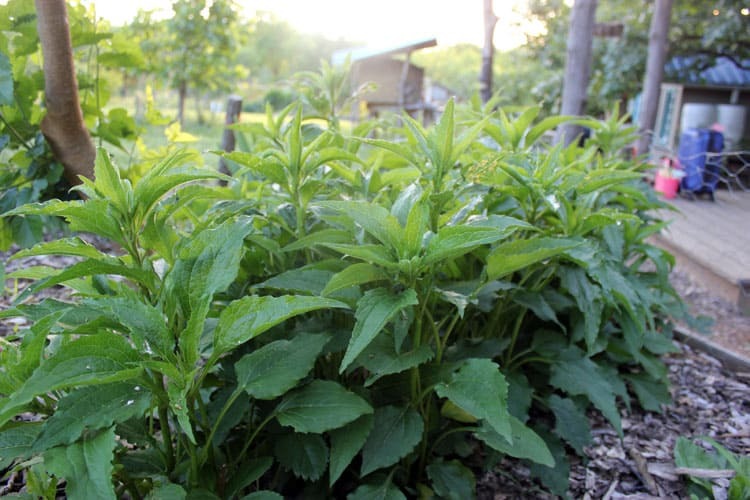 Peppermint can take over sections of your garden, so take steps to corral peppermint. Either grow it in a container or place a barrier around the peppermint plant that extends 6″ below the soil line. Peppermint is well known for aiding in digestion and calming digestive issues, so it is commonly taken as a soothing tea. That’s my favorite way to enjoy peppermint as well. 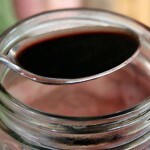 You can also eat it fresh, add it to salves or tinctures, and use it as the base of facial steams and baths. 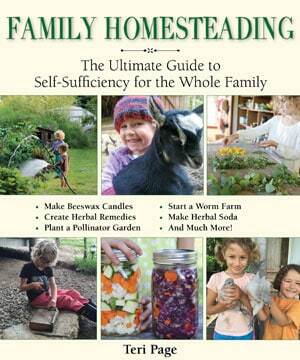 There you have ten medicinal herbs that are perfect for your homestead herb garden. This collection will help you address a wide variety of concerns or ailments – from skin soothing, to digestive issues, to immune boosting. With these ten medicinal herbs, you can create a wide variety of herbal remedies, while enjoying plants that are beautiful to look at, helpful to pollinators, and beneficial to your health. What are your favorite easy to grow herbs? I’d love to know! Along with those you mentioned, I currently grow Lemon Balm, Tulsi, Rosemary and White Horehound. I expand my herb garden as I learn more about the medicinal qualities of herbs. Those are great ones! I love lemon balm but I need to grow it in a place where it won’t take over the entire garden!